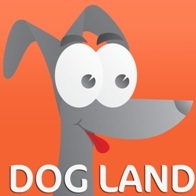 LOS ANGELES (February 24, 2014) – Dog Land, a new social app for dog lovers, will be featured at the Young Presidents’ Organization Global Edge on February 26. The team behind the app will present Dog Land at the event, which also features prestigious speakers including Magic Johnson, Robert Redford, Larry King and James Cameron. The event will be held at the Nokia Theater in Los Angeles. The idea for the app came about when CEO Jonathan Kolker got a Cocker Spaniel named Eddie. Kolker was curious as to what were the most dog friendly places in the city. It was then that Wilson, Kolker’s friend since first grade, suggested that they partner and create Dog Land. The team says that they hope their exposure at YPO Global Edge will help even more dog lovers find their app and connect the passionate community of dog lovers worldwide. YPO (Young Presidents’ Organization) is a not-for-profit, global network of young chief executives connected around the shared mission of becoming Better Leaders Through Education and Idea ExchangeTM. Founded in 1950, YPO today provides 20,000 peers and their families in more than 120 countries with access to unique experiences, world-class resources, alliances with top learning institutions, and specialized networks that help them enhance their business, community and personal leadership.